Jemma Donegan is one of a group of passionate, hard-working landholders trying to rebuild and preserve bushland in the Wheatbelt. 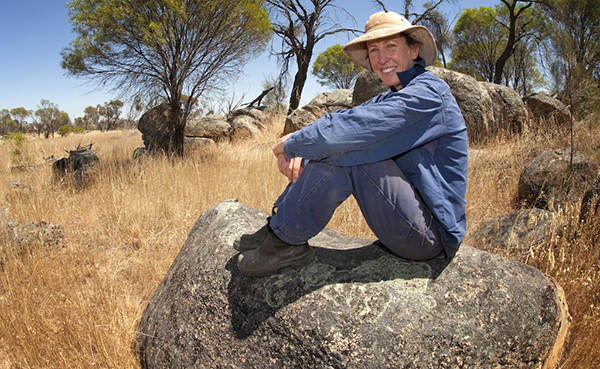 Living in the Mortlock catchment, the Goomalling farmer has helped elevate the region to the most proactive when it comes to feral animal control, planting trees and preserving remnant vegetation. This time last year, Wheatbelt woodlands were officially listed as critically endangered under the Federal EPBC Act, having been characterised as being on the knife edge for biodiversity. But farmers like Jemma and her husband, Shea Donegan, along with her brother, Darren, and his wife, Georgie Sadler, are helping to fight that trend. In the past year alone, they have planted 15,000 multi-species trees and built 7km of fencing to protect native vegetation from grazing livestock, while at the same time cropping and running sheep at their Goomalling and Wongan Hills farms. “We are in the fortunate position of already having 20 per cent of our property as remnant bush and revegetated salt land,”Mrs Donegan said. Over the past five years, natural resource management group Wheatbelt NRM has helped fund environmental work in the Mortlock catchment to the tune of $800,000 and the greater Wheatbelt region to nearly $1.9 million. Wheatbelt NRM’s biodiversity officer Jacquie Lucas, along with other project staff, has spent many hours driving around the Mortlock east and south catchments, engaging landholders to undertake biodiversity conservation projects. With this targeted approach, the Mortlock region has become one of the most environmentally active areas in the Wheatbelt NRM catchment. “Over the life of the project, more than 100 landholders will be engaged in 154km of fencing to protect 2620ha of remnant vegetation, and carrying out feral animal control on nearly 30,000ha,” Ms Lucas said.